Following a record year of performance, CARSTAR has plans to accelerate its growth as it enters its 30th year of business. Supporting this growth is CARSTAR’s corporate team, filled with experienced and talented members who consistently work together to achieve results for not just its customers, but also its franchise, insurance and vendor partners. –Former CARSTAR franchise partner Jeff Labanovich, now General Manager of CARSTAR in Canada, has demonstrated an unwavering commitment to continuous operational enhancements. Reporting to Dean Fisher, Chief Operating Officer for CARSTAR North America, Jeff will be responsible for both CARSTAR’s insurance and operations teams in Canada. 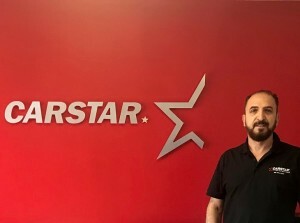 -Arlo Johnson, now General Manager of CARSTAR in the U.S., has lead various successful initiatives that prioritize partner needs and demonstrate CARSTAR’s premier capabilities. Reporting to Dean Fisher, Chief Operating Officer for CARSTAR North America, Arlo will be responsible for both CARSTAR’s insurance and operations teams in the U.S.
-Vince Matozzo, Director of Sales in Canada, is leading all insurance sales activity in Canada, reporting to Jeff Labanovich. -Scott Paul, Senior Director of Sales in the U.S., is leading all insurance sales activity in the U.S., reporting to Arlo Johnson. -Jennifer Benner will now assume the role of Senior Marketing Manager for CARSTAR in Canada. -Melissa Grmusa will now assume the role of Marketing Manager, taking on a larger lead in CARSTAR’s communications and public relations strategy. -Connor Smith will now assume the role of OE Manager for CARSTAR, to continue building OE relationships and store participation in certification opportunities. -Monica Horvath-Cekolj will now assume the role of Director of Franchise Services. With plans to enhance its already thriving analytics team, CARSTAR is also allocating additional resources to this increasingly vital department in the coming weeks. The CARSTAR future is bright as it looks forward to accelerating its performance and supporting its ever-growing franchise family. For more information on CARSTAR visit CARSTAR.com or CARSTAR.ca. 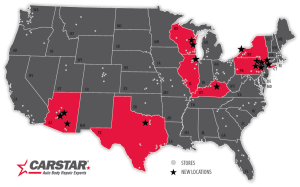 Interested in joining the CARSTAR family while still being a local owner and operator? Call 844-906-9764 to learn more!